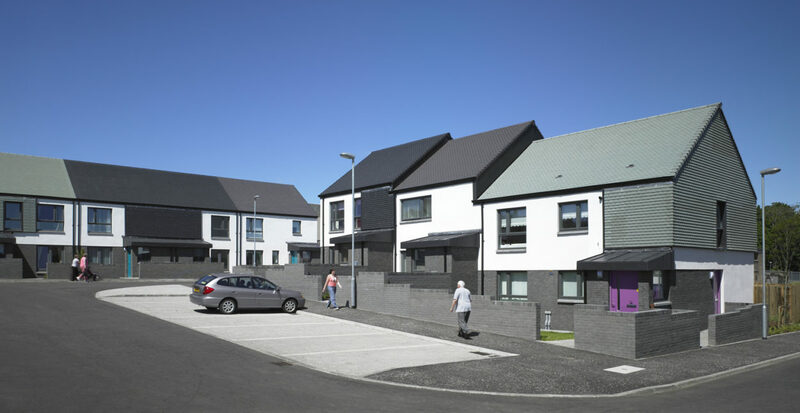 Collective Architecture were appointed by Cumbernauld Housing Partnership (which was later incorporated into Sanctuary Association Association), together with the Ainslie Maclehose Action Group, in October 2004 as lead consultants for the regeneration of Ainslie Road and Maclehose Road, Kildrum, Cumbernauld. 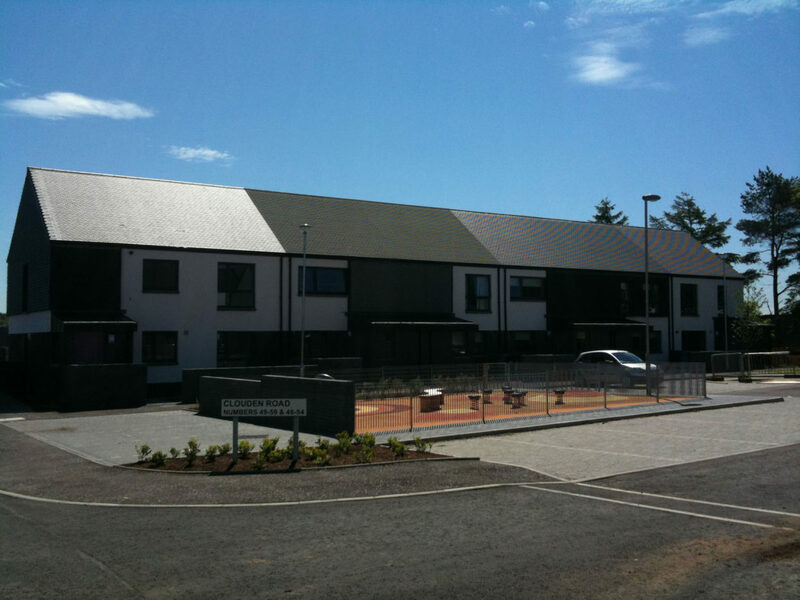 The main part of the site was occupied by 6 blocks of 4 storey flats which were demolished, as a result of the defective construction methods used in the 1960ʼs. 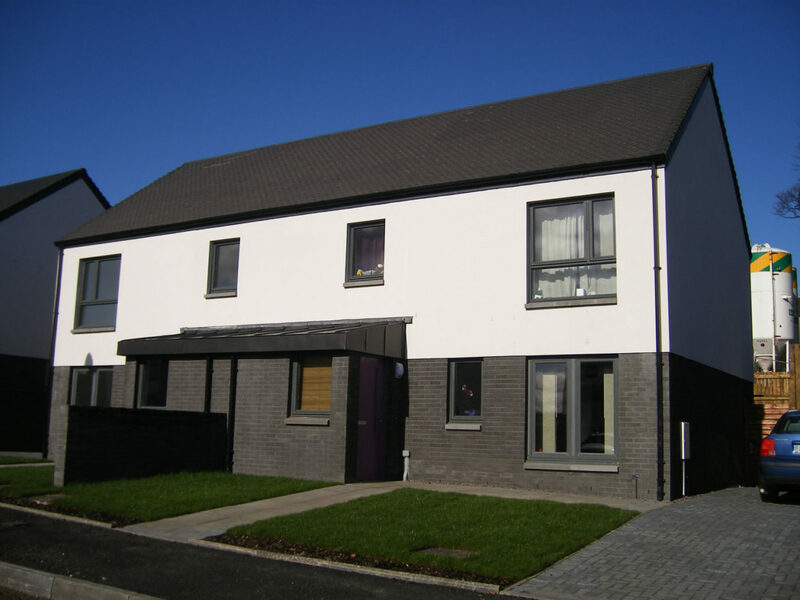 A large number of the existing residents were keen to remain in the area and were actively involved in an extensive consultation process, which saw the blocks of flats demolished and replaced with a mix of 2, 3 and 4 bedroomed terraced and semi-detached houses, together with 2 bedroomed cottage flats. 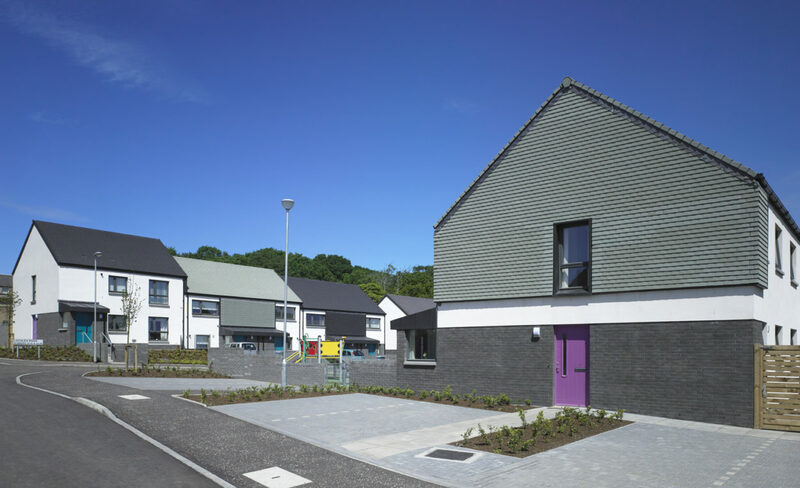 The first phase of the redevelopment was constructed the site of an adjacent demolished primary school and comprises 51 units. 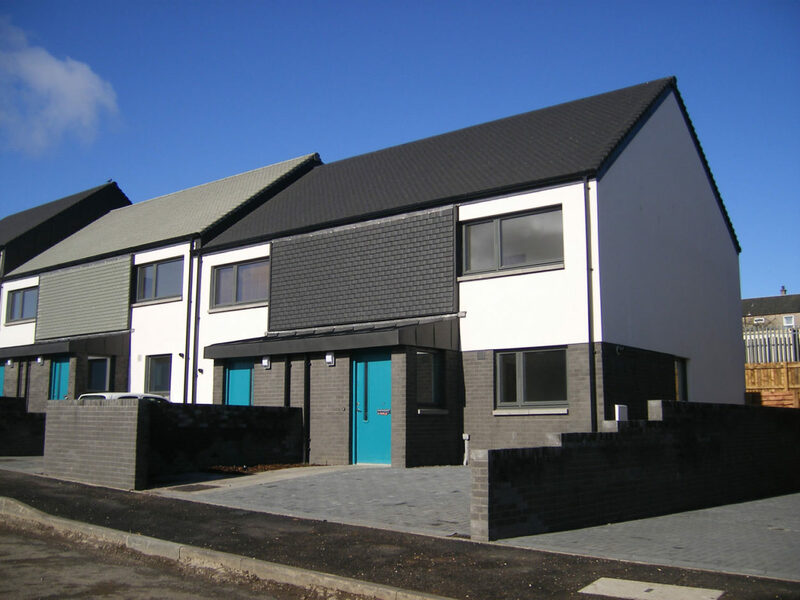 The majority of existing residents relocated to these new properties, enabling the existing 4 storey flat to then be demolished with minimal disruption. 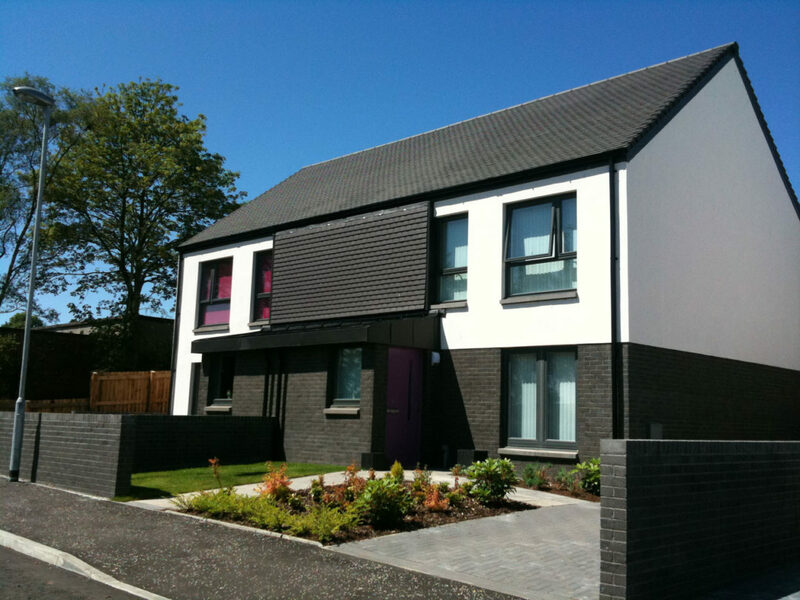 The houses which make up Phase 1 of the development are built from a palette of materials including white render, grey concrete brick with rough and smooth finishes, and a mix of various grey roof tiles, together with zinc roofs to porches. 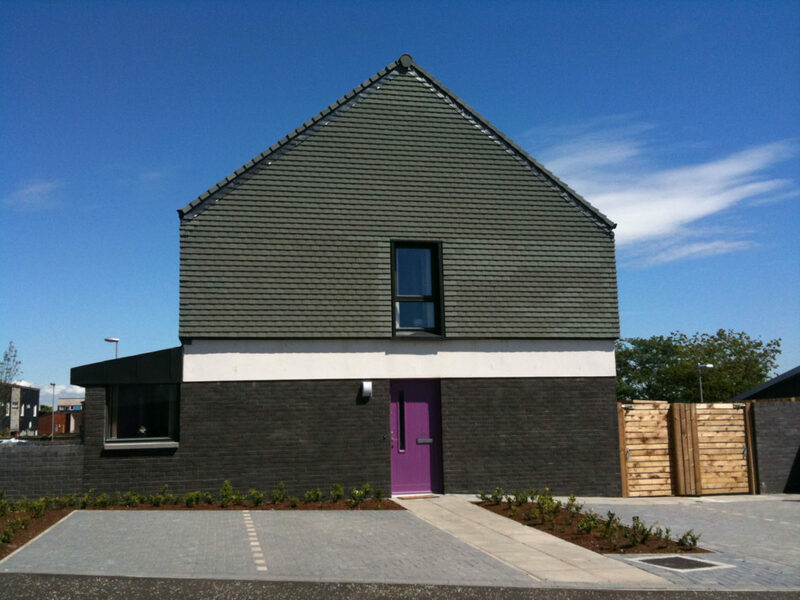 This ensures that the new building housing has a contemporary aesthetic, whilst remaining in keeping with the architecture of the neighbouring 60ʼs low rise properties. 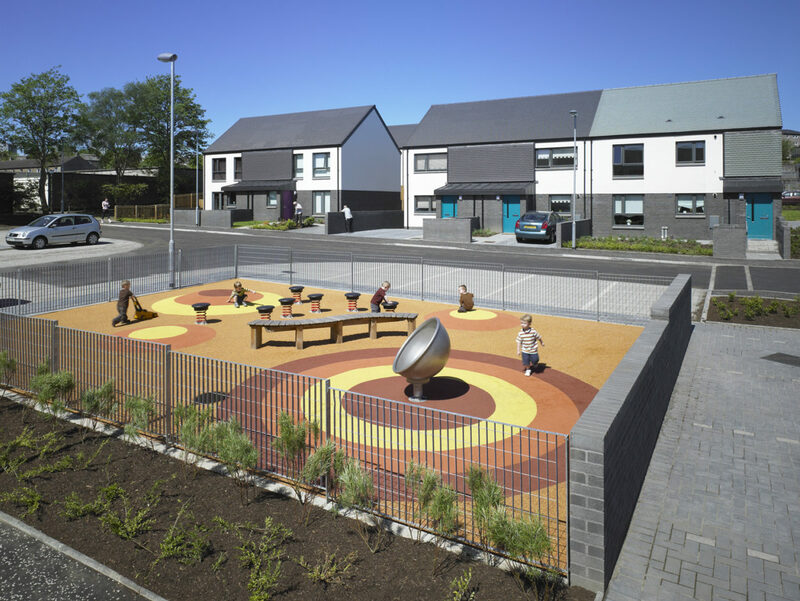 Collective Architecture, in collaboration with City Design Co-operative actively sought to integrate the proposed development into the surrounding community by maintaining and simplifying the complex network of pedestrian routes, linking together new green spaces with existing spaces, and integrating the pedestrian underpasses into open, supervised landscaped areas.